Note: This write-up was based on a dinner I had before the fire earlier in 2009 which closed the restaurant for a number of months. The restaurant has since re-opened. Walking down Frith Street to my destination of Bar Shu, a Sichuan (Szechuan) restaurant, I happened to notice Barrafina. But then Barrafina is rather hard to miss. With big glass windows, shiny white walls, plenty of elegantly dressed people perched high up on bar stools, it generally seems to sport an all round hip n’ happening crowd. It’s won many plaudits, but after the success the Hart brothers (Sam and Eddie) had with Fino, this was bound to be a sure thing. I would rather like to eat there, but one key factor has always held me back – their no bookings policy. Despite having shown my face at Barrafina on a couple of previous occasions, I was unable to secure a table without a very protracted wait and have invariably ended up leaving. No doubt I would have enjoyed eating there tonight. So mark a no reservations policy as a major dislike in my world of dining out. But for those restaurants that do take reservations, just as irritating can be time restrictions, when you’re told after making a booking that they need the table back after two hours. It’s irritating because who would want the indignity of being rushed through a meal that you’re going to pay for? Bar Shu is one of those restaurants that operate a ‘you must hand back your table’ policy. Only theirs was a mere one-and-a-half hours. Please. This might have been Chinese, but it wasn’t Hakkasan. Additionally, being located just north of Shaftesbury Avenue, it also didn’t have the added benefit of being located in the heart of Chinatown where such a location might have ensured more passing traffic generated by people who tend to head to Chinatown intuitively when in search of a Chinese meal. So in my estimation, it hardly seemed to warrant a time restriction. But as I turned up, it was all rather busy. Perhaps the time restriction was justified after all. The look of the restaurant is modern and attractive, although not with the slickest of finishes – a small portion of one of the walls still remained to be tiled. The colour scheme was essentially black throughout: black slate floors, black tables and black chairs. Even the Chinese wait staff were all dressed in black. Donning ‘Men in Black’ personas, they all had earphones attached to their heads which they whispered into from time to time as if they were on some covert operation. Please. However it really wasn’t all black. The lighting was nicely done; gentle, but not too low. And to remind you that you were actually in a Chinese restaurant, there was a statue of Buddha in the corner. Red funky Chinese lanterns dangled from the ceiling and there were carved Chinese woodworks dotted about. One side of the ground floor had been converted to a bar where some of two dozen wine options offered by the restaurant were proudly on display. All up, the décor was quite satisfying and pleasing to the eye. 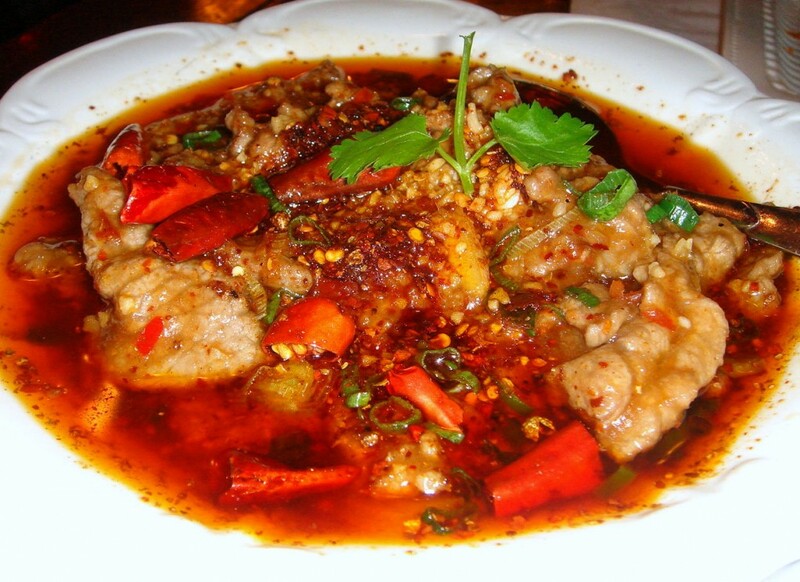 As mentioned, the food is from Sichuan, which incorporates an abundant use of chillies, chilli oil and Sichuan pepper. Therefore Sichuan food is hot, and not for the faint-of-heart. Still, it can make for some tasty dishes if your disposition is strong enough to withstand the arsenal of firepower from all sides. To help you through some of the more unknown elements of Sichuan food, Bar Shu incorporates a navigable menu containing pictures of just about all the dishes. It’s great if you can’t decide, but with all the scrumptious-looking photos, it can equally also lead you astray and result in a spot of over-ordering. We started with jellyfish ribbons (£7) in a dark Chinese vinegar. 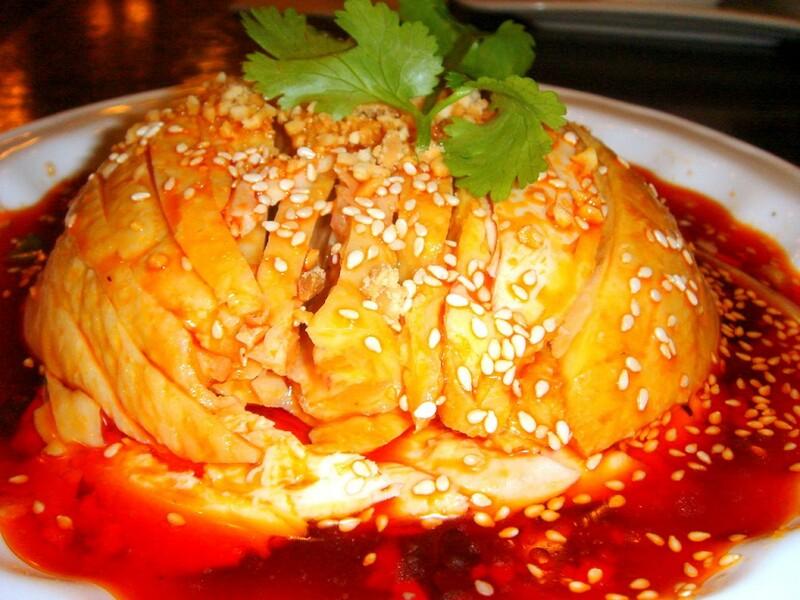 It’s a dish thoroughly enjoyed by the Chinese and this version was highly authentic. The jellyfish had the requisite firmness with a touch of bounce, but was equally slithery at the same time. 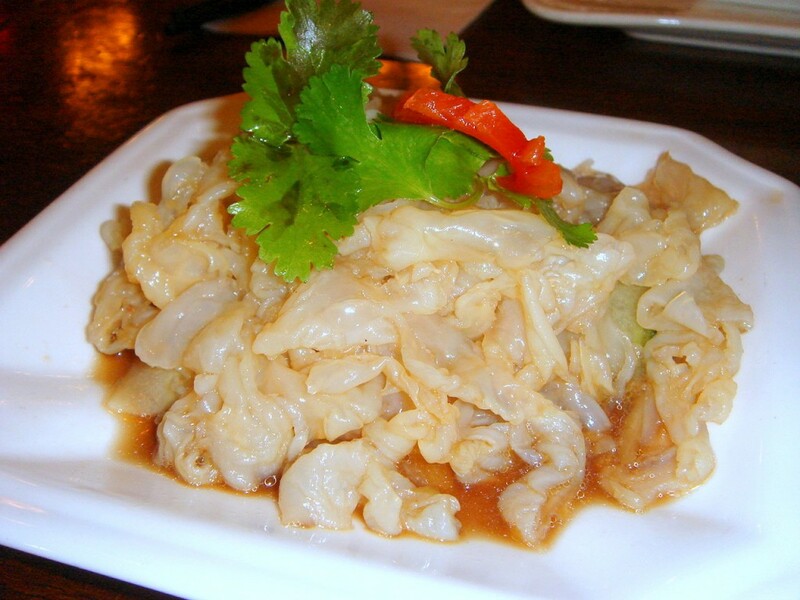 The vinegar was nicely subtle, adding flavour to the jellyfish without overpowering it. A mouth-watering chicken (£12), so named as this is how it translates from its Chinese name, was indeed mouth-wateringly delicious. The chicken was moist and flavoursome,and served cold with a chilli oil which was fragrant but not too spicy or heavy. The succulent soft flesh of the chicken contrasted wonderfully with the crunchy bite of fresh and finely julienned bamboo shoots. 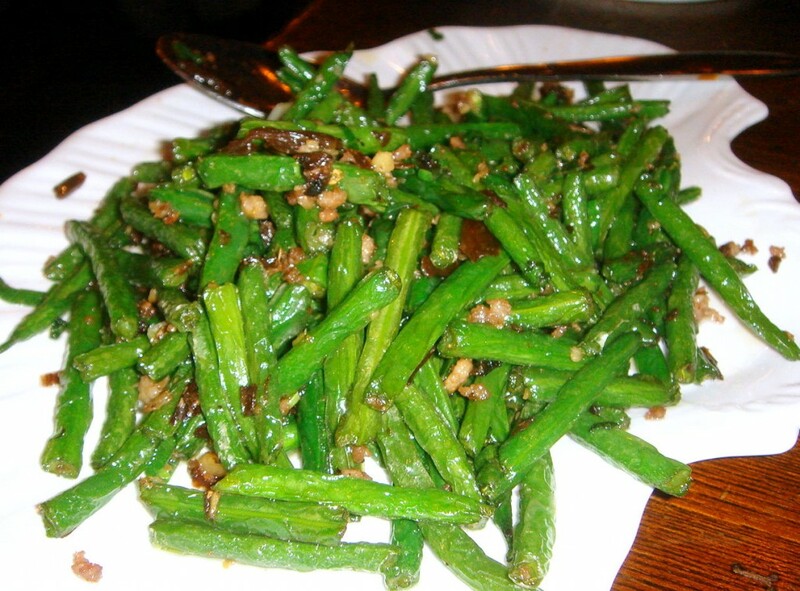 Dry-fried beans (£8.50) stir-fried with minced pork were tastily flavoured with preserved mustard. To the spicy stuff: a pock-marked old woman’s bean curd (£8.50) burnt with such spicy heat that it sizzled on the tongue. The menu explained that this dish was named after a smallpox-scarred restaurateur who once lived in the Sichuan capital of Chengdu, but to those in the know is essentially spicy mao pao tofu. In this rendition, the soft tofu was stir-fried with chillies, spring onions, black beans, ginger and minced pork. It was tasty and spicy, but the heavy use of chilli oil rendered the dish too oily to be enjoyed fully. Similarly, a beef in extremely spicy sauce (£9.80) proved to be extremely hot, and was so oily it was almost inedible. The dish had been highly recommended by the waitress, but in ordering it I had also broken my golden rule about not ordering beef in a Chinese restaurant. This is because, typically, bicarbonate of soda is used to marinade the meat which, whilst tenderising it, also has the effect of stripping it of some of its flavour. Here appeared no different. Additionally, the beef had been coated with too much flour prior to stir-frying and it left the beef with a filmy layer around its surface. Add the over-use of oil which submerged the ingredients and this is not a dish I want to order again. There was also an array of meat, fish and other seafood dishes to choose from, and also delicacies such as pig’s ear and pig’s tripe. Some dishes tonight were non-hitters, but there were also some wonderfully prepared dishes, and on the authenticity scale the food rated quite highly. The pricing was reasonable, and the service was attentive and less abrupt than at some of the Chinatown feeding spots. The turnaround for the food was also quick, so in the end we didn’t need much more than our allocated time allowance. With careful selection from the menu to manage your tolerance to chillies, Bar Shu is a shoo-in for a pleasant meal out. Approximate price bracket – £20 to £30 (based on three to four dishes to share between two). Excludes drinks and service. Umm, well, yes I am embarrassed to say I ate all of it! I love to eat and a girl has to eat! It was yum. Thanks for coming back and reading my blog. i have been to Bar Shu several times since i was introduced to this restaurant. i just love the food!! this is the only restaurant i know that provide such hot and spicy sicchauan food. i have tried all the dishes as shown in the pictures above. there is another of my favourite which is the pig’s blood!! yet no matter how much i love the food there i will only go may be once a month? too much chilli oil doesn’t sound to healthy.